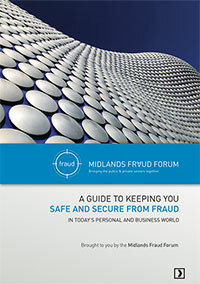 The messages within this booklet are based on anti-fraud and police crime prevention advice. We are targeting not just small and medium businesses across the East and West Midlands, but the people both inside and outside those businesses. Fraud can happen to anyone, at any level, so read on and find out how you can protect yourself and your business.